This morning I had the pleasure of doing a ribbon cutting for the new and expanded Bogie's Hoagies. As you know, Bogie's is an award winning sandwich shop located on Lafayette Avenue (near the corner of Warburton Avenue). They have doubled their size and have added pizza and homemade pasta to their menu. Bogie's promises to be a great, casual dining experience. On Monday, March 4, the hours are changing, and they will open at 11 am and close at 8 pm. Be sure to stop by. 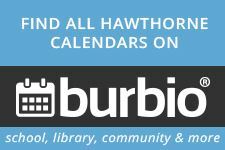 I hope you have had the opportunity to read the article about Hawthorne in the "Living In" section of The New York Times. The Times states what we already know - Hawthorne is a great place to live and work, with great restaurants and that small hometown feel. I'm so proud to be the Mayor of this Borough. I want to wish the residents of Hawthorne a Merry Christmas and a Happy and Healthy New Year. My hope is that all your dreams come true and 2019 is a good year for us all.